The last steps of buying a car online introduce the most risk, requiring that a seller and buyer agree upon a payment and transaction method. Whether picking up the car in-person, or making use of services that facilitate long-distance transactions, you’re going to want to know what’s in store for you after you’ve made an online car purchase. If you’ve read the previous segments on How to Buy a Car Online, then you know the importance of being informed. Taking these last steps can be some of the most rewarding of the whole process. Once you and the seller have agreed on a price, there are two paths to consider that end with you taking possession of your collector car. Most transactions that begin online tend to stay that way, as the extra expense and time required to handle the details of the transaction in-person can be significant. In this case, you won’t be able to do a final in-person inspection of the car. It’s important you know what you’re getting, and if you haven’t done it already, an inspection of the vehicle by a professional, like the kind performed by the Cars On Line Inspection Service can help to ensure you’re making a sound purchase. 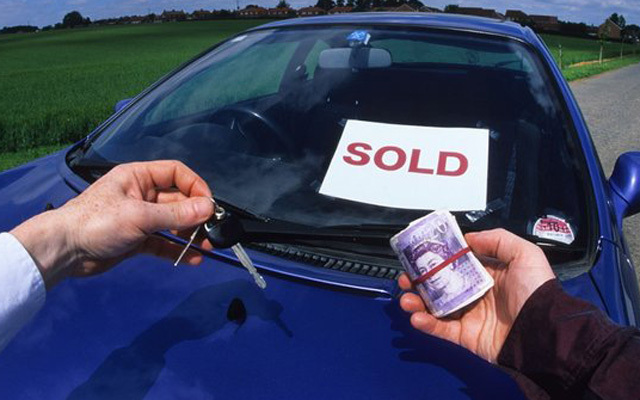 A seller won’t part with the car until he has money in hand, and a buyer shouldn’t part with any money unless a Bill of Sale has been received and agreed upon. Click here to read more about obtaining a Bill of Sale. This document is one of the few legal documents that can protect a buyer at this stage of a transaction. After a Bill of Sale is agreed upon, it’ll be time for money to change hands. While there is more than one method to make a payment long-distance, the most commonly used method is a wire transfer. Most sellers won’t accept bank checks or cashier’s checks because of the ease in which they can be forged. The internet is full of stories of sellers being scammed this way. A wire transfer is initiated and completed by a bank, and can be verified by the seller before he releases the car. Once you’ve paid for the vehicle, it’s a good idea to have the seller send you the title for the car with a registered carrier, like FedEx. Make sure you are provided with a tracking number so you can see the title was sent. You’ll also have to arrange for the car to be picked up by a trustworthy transportation service. A reputable transportation service will be fully insured. Ideally, you will arrange for them to pick up the vehicle on the same day the money is changing hands, or very shortly after. You don’t want your property remaining in the care of the previous owner any longer than necessary. And it is your property now. Most sellers won’t risk additional liability once they’re paid for the vehicle. In most cases, it will be the buyer’s responsibility to arrange for transport of their new car to their home. If you prefer to have a representative present to ensure the transaction is made properly, but can’t be there yourself, you can contact a local law office and hire an attorney to perform this function for you. They’ll even handle the money transfer. This method has the advantage of being able to verify that the car is handed off to the transportation agent (that you arranged for) and verifies that the seller has received payment. It will cost you more, as the attorney will demand a fee, and you still won’t be able to inspect the vehicle personally. This is essentially the same as the service provided by an escrow company, which will take payment for the vehicle, hold the funds, and then release them to the seller once you’ve verified that you have possession of the car. They’re meant to be reputable third party agents that make sure the buyer and seller are getting what they want. There are a number of reasons a seller won’t allow you to use an escrow service, the first among them being that there just isn’t anything in it for them. A seller is still being asked to let go of their property on someone else’s word, with no money to show for it, with the hope that they’ll be paid later. Escrow services are also popular methods of scamming, with some companies disappearing or becoming impossible to contact once they have your money. There are reputable escrow services out there, but a seller won’t likely take the risk. When making the decision to use either a lawyer or an escrow service, do your homework on the company before deciding to use them. Be sure they’re reputable. Traditionally, the best way to purchase a car has been to make the transaction in person. You hand the seller the money and he hands you the keys. No fuss. This may require you to buy a one-way plane ticket and fly to the location where the sale will be made. If you live close enough, you might have someone drive you there. You can make one final inspection of the vehicle, this time in person, and be sure of what you’re getting. The best part is that once money has changed hands and the keys are yours, you can drive your new purchase home! If you’ve purchased a collector car that is going to be a showpiece, then driving it back may not be the best move. It’s still recommended that you oversee the transaction in person though. In this case, you’ll hire a transportation service who will transport the vehicle to your home. You’ll need to buy a two-way plane ticket in this case, but obtaining peace-of-mind by seeing the car in-person and being there to see it loaded onto a trusted carrier’s car hauler is worth the extra expenditure. 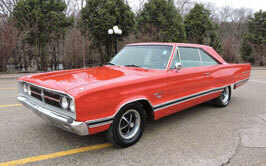 Is the seller a collector or dealer that specializes in collector cars? Buying from someone that knows something about what they’re selling can increase the certainty that you know what you’ll be getting. A reputable dealer will have had the car inspected before they invested money into it. A knowledgeable collector will likely have taken good care of it and kept up with maintenance requirements. If the seller just found it in a barn they inherited, you’ll know you’ll have to have it inspected to get the facts necessary for an informed purchase. Where is the seller or dealer located? Is the car located at an address owned by the seller? Not all sellers have the vehicles they’re selling on hand. Consignment dealers list ads on the behalf of the car’s owners, who may have the vehicle in a location different from the one listed in the ad. Get as much information as possible about the addresses of everyone involved. If it seems like you’re jumping through too many hoops, it might be best to walk away. Use of Google Maps to check out the addresses can clue you into a scam if you check out the address and find that an empty field is located where a dealership should be. What were the impressions the professional inspector had of the seller? Does the seller have any endorsements from previous buyers? Having the answers to questions like these can go a long way in easing your mind about the purchase you’re about to make. Reaching this step in the classic car buying process means you’re very nearly the new owner of a collector car. Don’t let your emotions cloud your judgment, as you’re about to put real money, and probably a lot of it, down on something you may not have seen in person. You’re taking risks in doing so, but if you follow the tips provided above, and do your research, the process can be quite enjoyable, and not nearly as dangerous as it may seem.